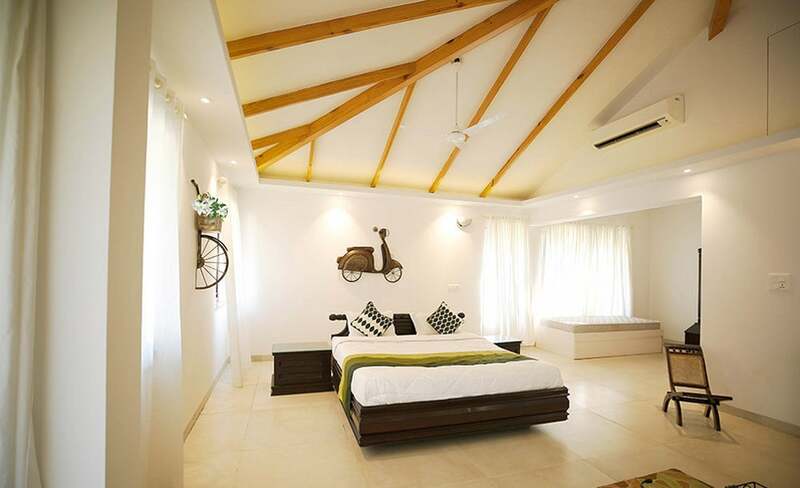 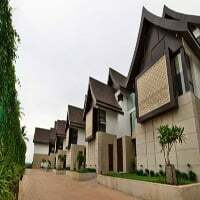 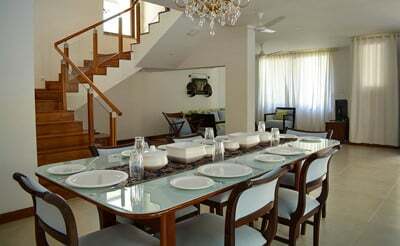 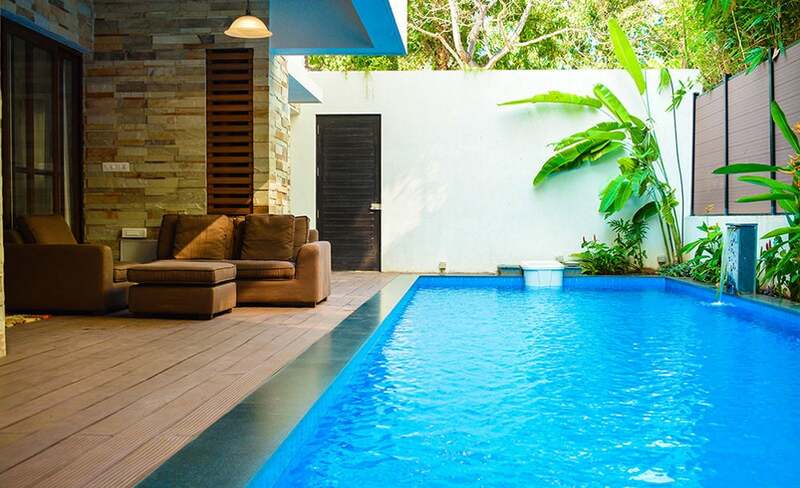 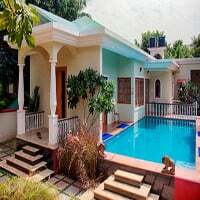 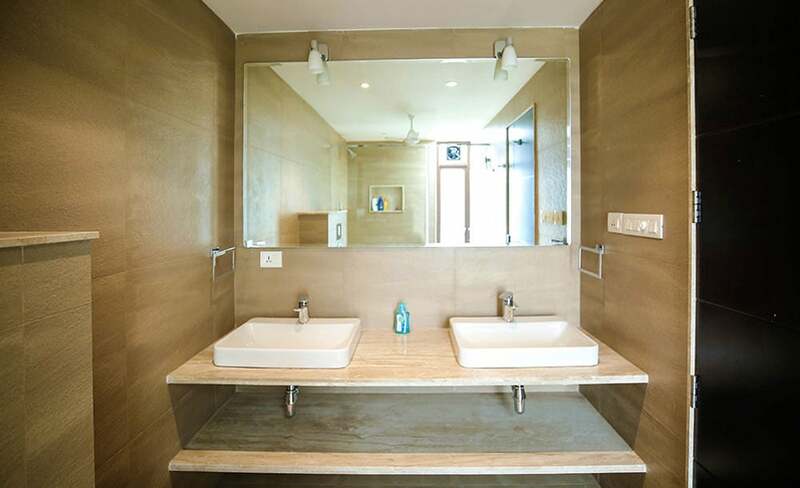 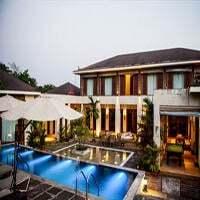 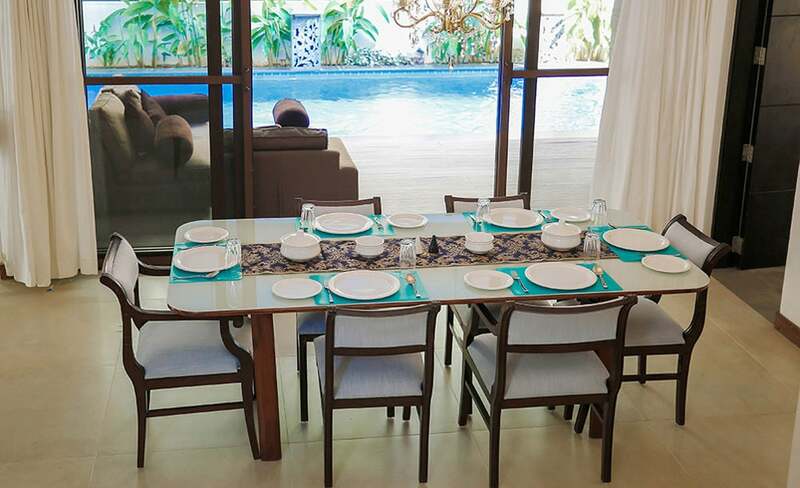 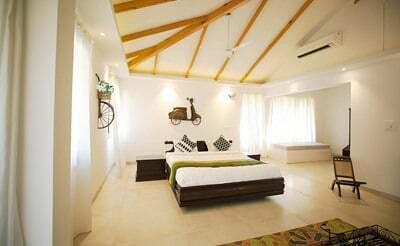 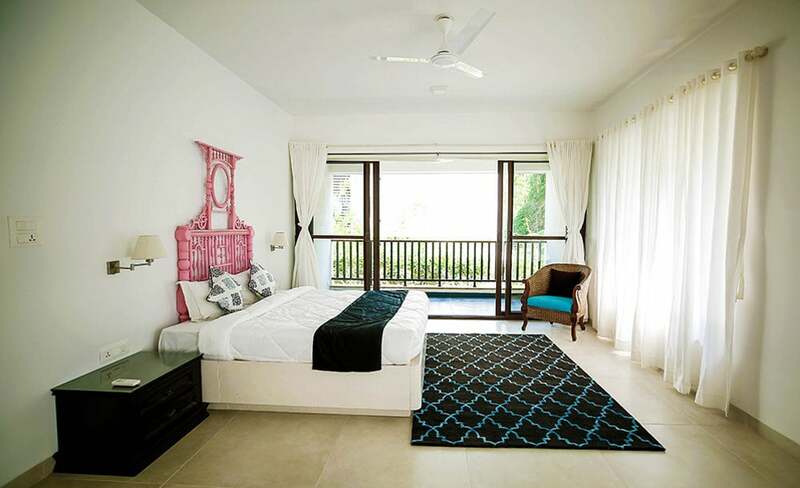 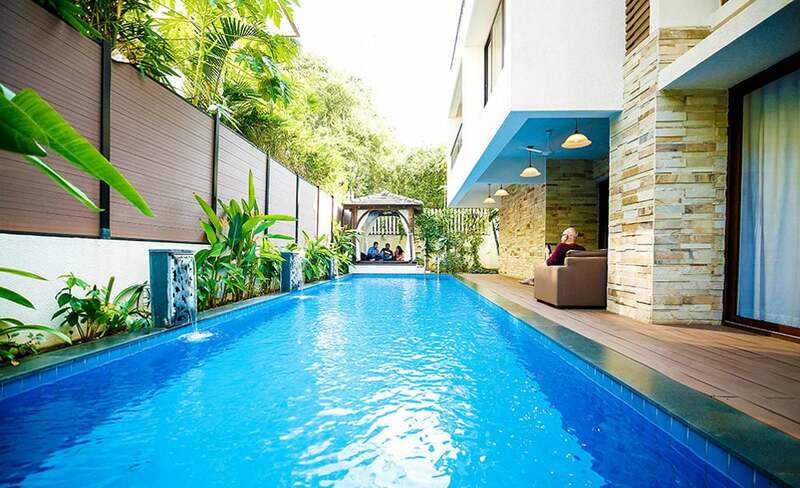 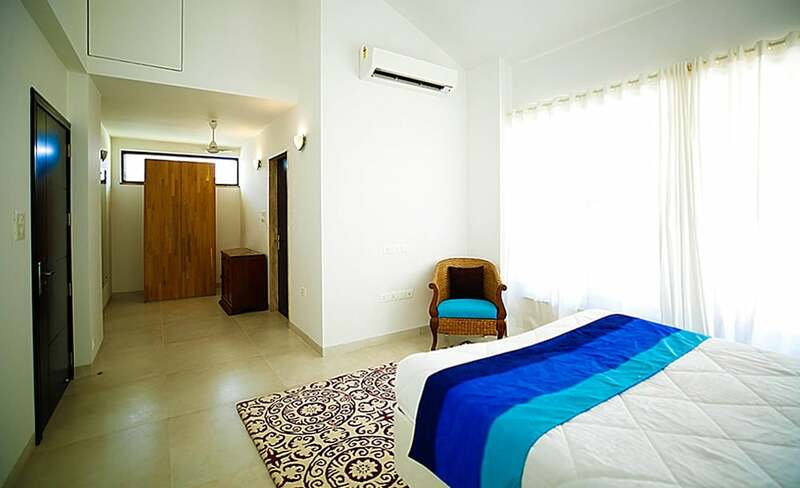 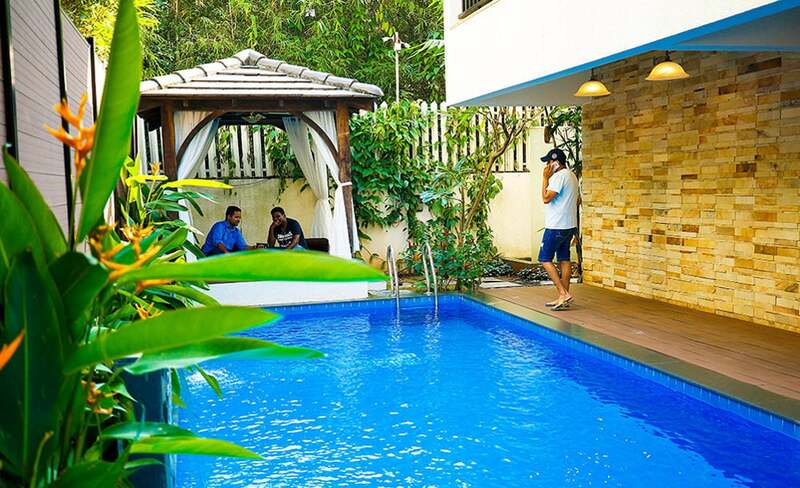 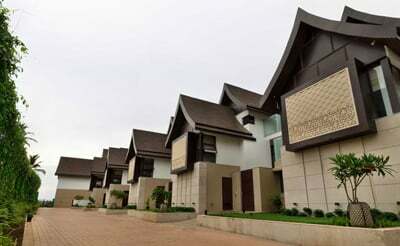 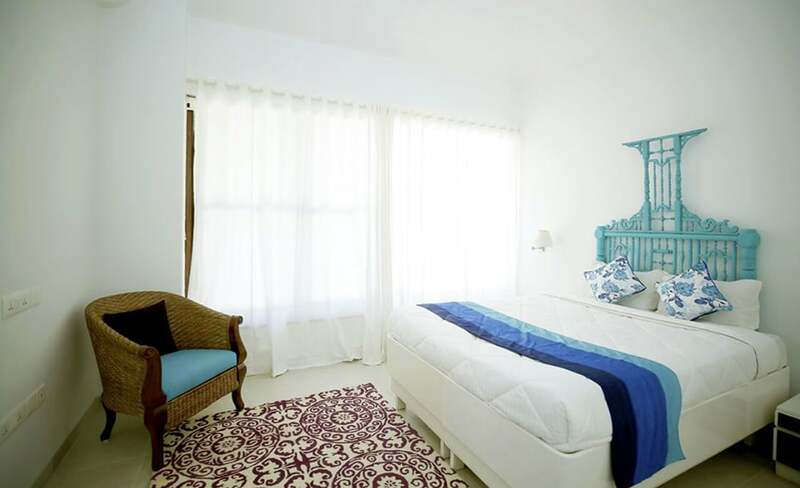 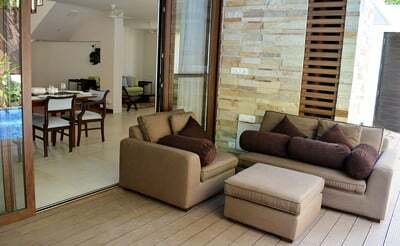 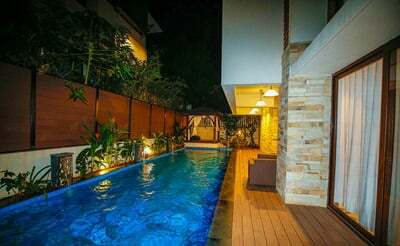 A Super luxury Villa 4 bedroom Villa in Anjuna is a perfect getaway for a small group. 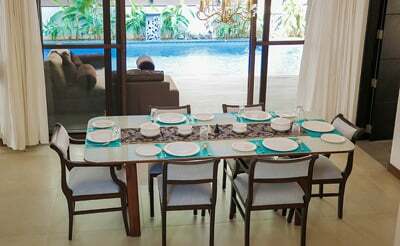 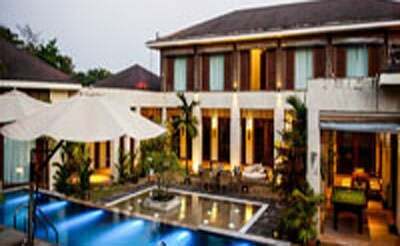 With a fusion of modern stylish elegance with Balinese finishing is the Villa Heaven.A well appointed and fully serviced villa . 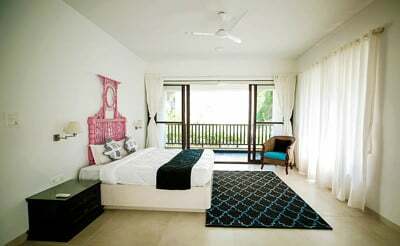 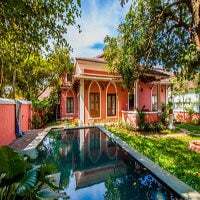 Tucked right close to the famous Club Cabana in Anjuna in a small gated community of 7 villas is villa Heaven. 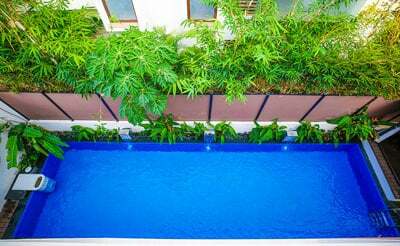 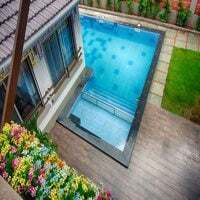 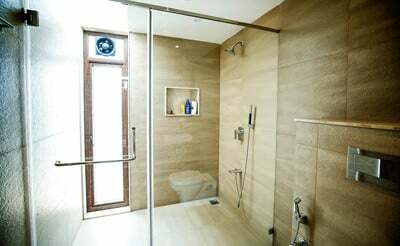 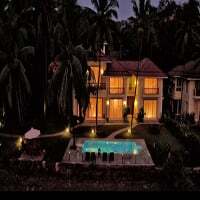 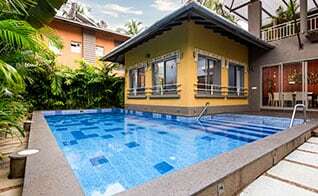 The main feature of the villa is its 40 mtrs long pool with a tropical garden and outdoor drencher shower to sky. 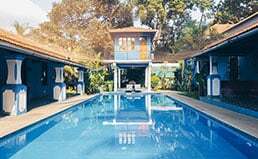 Anjuna is also known as the party land of North Goa. 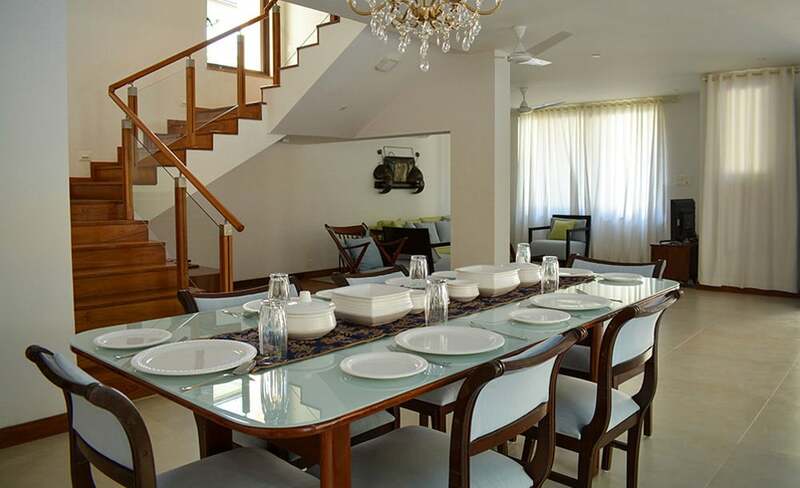 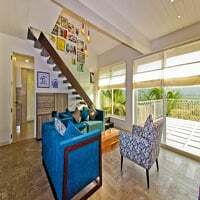 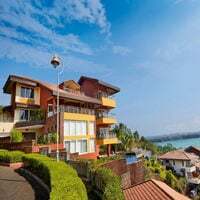 This Goa villa houses 4 bedrooms all beautifully stretch over 3 floors , There has been no compromise in luxury for the furnishings and the artefacts places in the luxury villa. 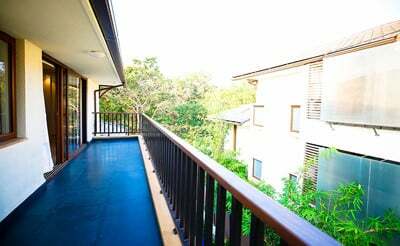 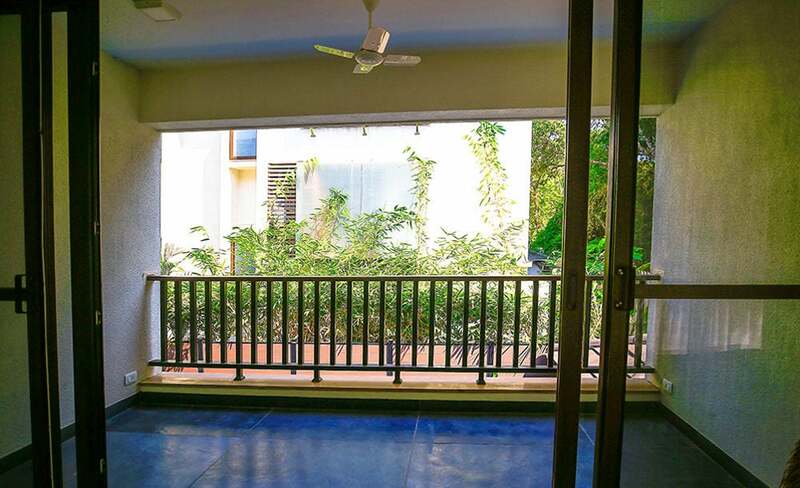 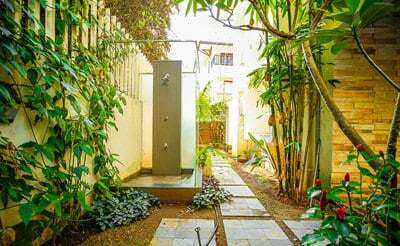 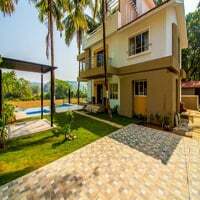 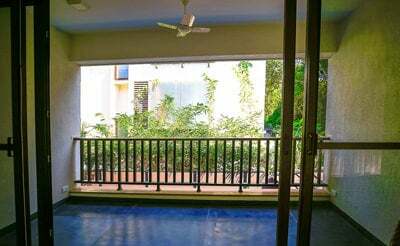 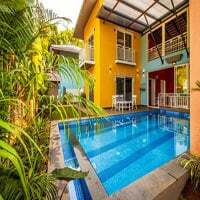 So its just a perfect place to blend with tranquility in each corner of the house for you to spend your perfect holiday at this home in Goa. 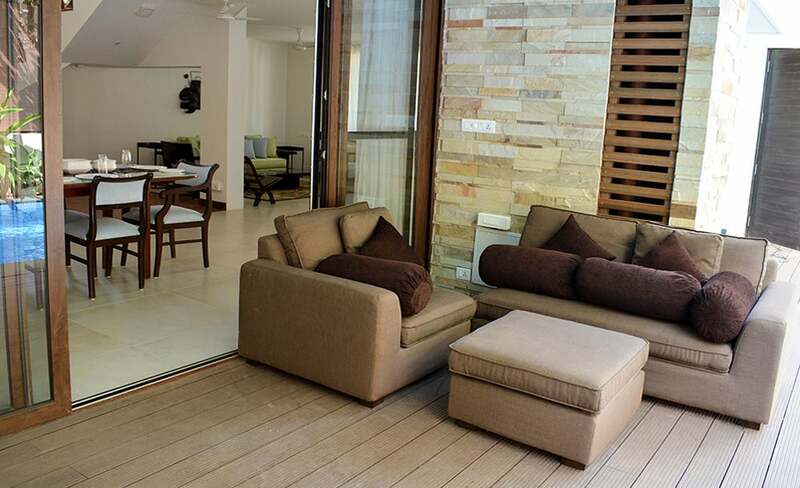 The beautifully designed air cabana and the sun loungers are a big add on to furnish the outdoor element perfectly. 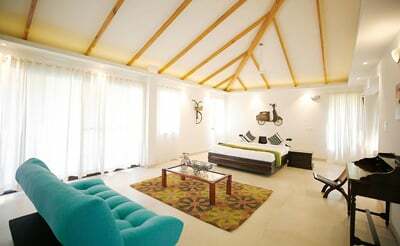 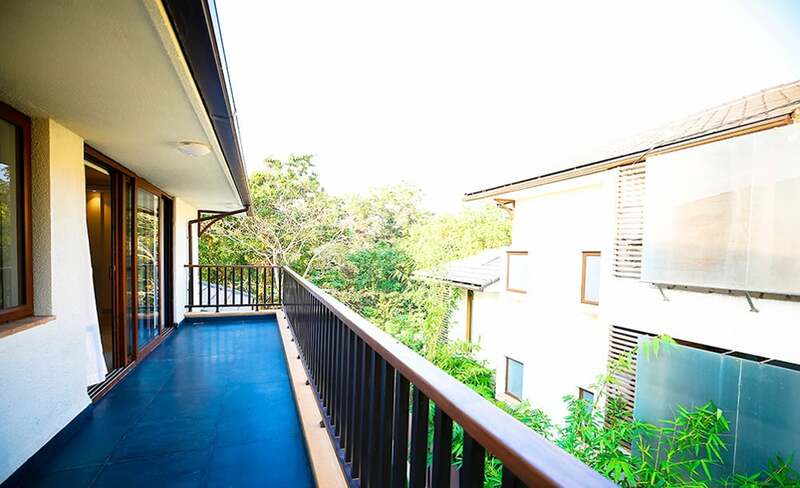 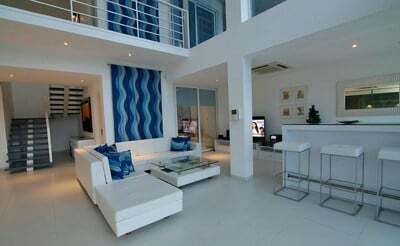 The living area is fully air conditioned and the master bedroom becomes the perfect indoor party venue. 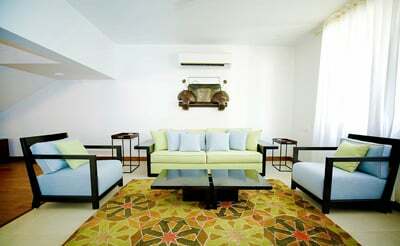 The care taker helps you to buy your essentials and becomes very sorted during your villa vacation. 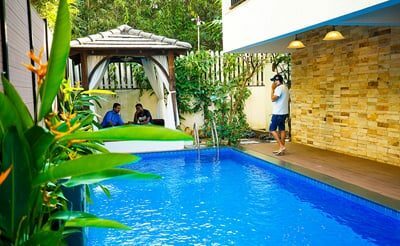 The Anjuna beach is hardly a 7-10 mins drive and the beach close by makes it an amazing place to soak your mind and and soul in the waters. 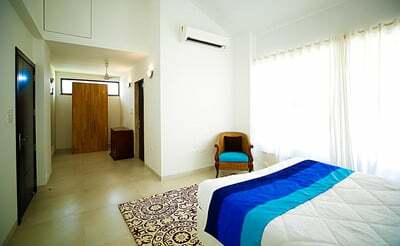 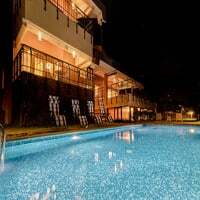 Thalasa is 6 mins away for you to enjoy the must visit.